The Dolly book tour has might heart so full with gratitude. What a joy it’s been seeing all the beautiful creations! I wanted to share a recap of all the stops on the tour as this wonderful book tour comes to an end. 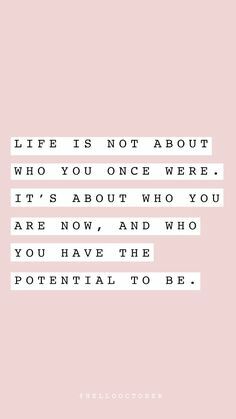 And of course …. HAPPY HALLOWEEN my friends!! I hope you’re up to lots of goodies and sweets this evening! The first stop on the tour was the talented and dear Faith Essenburg. Faith shared her inspiring creations from the book, including an amazing Doll House Play Quilt and a precious rag doll (her tiny wisps of hair takes the cake!). Head over to Faith’s blog to see all the lovely details. Your eyes will thank you! The next stop on the tour was the inspiring Melissa Mortenson and she made my our hearts so happy with a sweet little rag doll. I loved seeing Melissa’s inspiration for her doll – the pink hair is perfect! Melissa has lots of beautiful photos and charm to share on her blog post if you missed it. Next up is the mighty talented Lauren Nash. Her creations from Dolly could not be any sweeter!! Lauren created a darling rag doll and the Doll House Carry All Tote. It’s all just so charming and sweet. Take a visit over to Lauren’s blog to soak it all up (and her daughter is a little ray of sunshine, isn’t she?). The tour continued with an exciting stop at the talented Sedef Imer’s lovely blog. Sedef aways creates magic and her rag doll was sweet as pie. Lots of beautiful photos and sweetness to see at Sedef’s blog. Next on the Dolly book tour was the inspiring Jemima Flendt. She created the darling Doll Dress Mini from the book with an extra twist of making it into a pillow. Super cute idea! Check it all out over at Jemima’s blog! The Dolly book tour continued with the inspiring, Jina Barney! 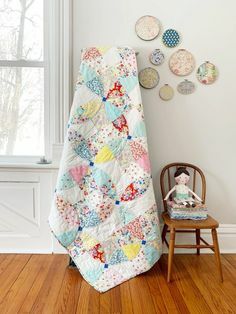 Jina created a precious baby quilt by repeating the block from the Doll Dress Mini. So creative and I just love it so much! Visit Jina’s blog for close up photos and details. The next stop on the tour was the wonderful Ayda Algin. 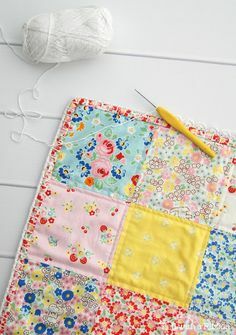 I just adore how Ayda turned the Dolly’s Own Mini Quilt pattern from the book into the sweetest pillow. Hop over to Ayda’s gorgeous blog to get all the scoop and see her beautiful photos! Then the book tour brought us to the blog of the lovely Veronica Marroquin. Veronica shared her inspiration for the Dolly Treat Bags pattern! These are so much fun – and Veronica shared all the details on her blog. Next on the tour was Ange Hamilton sharing a beautiful quilt she made from the Dolly’s Own Mini Quilt pattern in the book. Ange did a wonderful job and you can find more of her sweet quilt on her blog. Last on the book tour was the talented, Nadra Ridgeway. Nadra’s work is just stunning and her Dolly’s In A Row pillow from the book was extra sweet! Discover all the details over at Nadra’s blog. Cute, cute, cute!! Seeing the book tour come to an end was a little sad for me. It’s been a true joy and honor to see what all these wonderful, creative women created from the book. I am so grateful to each of them. The Dolly book was released in early August and is available from independent quilt shops (and those with online shops too). If you have a chance to create your own treasures from the book, I would love to see them! Please tag me on Instagram @elealutz or by using hashtags #dollybook or #elealutz I’d love to see a peek! Absolutely adorable! I love the different versions and use of fabrics. I have just stumbled onto the Dolly Book Tour and oh, my!! I have to admit I spent almost the entire afternoon looking at each blogger’s creations. What adorable dollies and blankets and pillows…you’ve all inspired me to make my first “real” dolly. My daughter, who is now 24, spent hours playing with her special Madeline dolls and this dolly reminds me of sweet Madeline and friends. 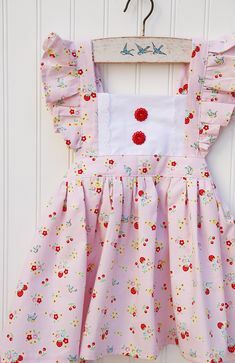 I may have to sew a special dolly for my daughter as a keepsake of days gone by. And I’ll have to make dollies for my nieces and try out some of the accessories, too. Thanks for making such a sweet book…I can’t wait to get a copy and begin sewing. Thank you for sharing your talents with us!! Best Wishes! !